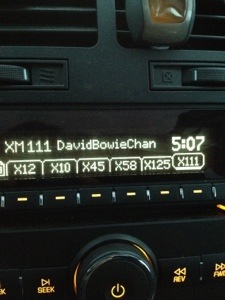 Are you kidding me, there is a David Bowie Music Satellite Channel. XM111- needed a change from patriot radio. Major Tom very happy, happy.